Plan a day in the New York state capital, Albany, which is located near the junction of the Mohawk and Hudson rivers 155 mi/250 km north of New York City. It was founded in the 1650s as a village called Beverwyck, surrounding the Dutch Fort Orange. The name was changed to Albany after it was acquired by the English in 1664. 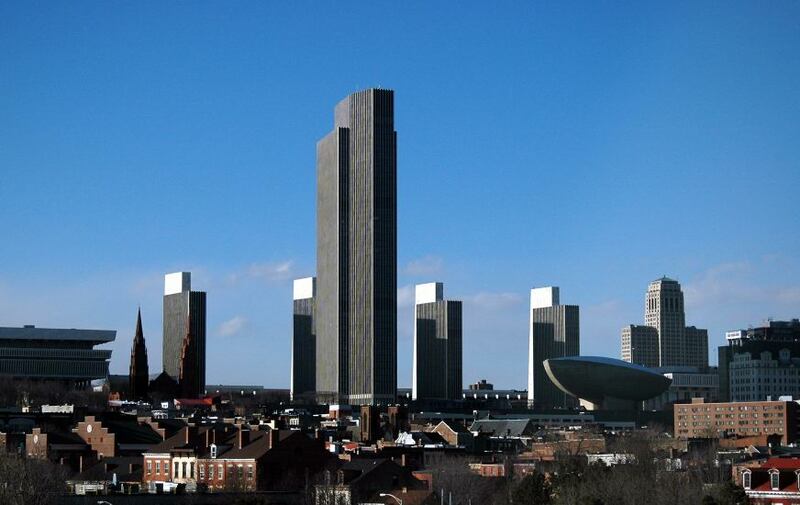 The center of modern activity in Albany—and the most noticeable landmark—is the Gov. Nelson A. Rockefeller Empire State Plaza, a huge complex of government buildings and the setting for outdoor festivals, concerts and fireworks displays. Free guided tours are available Monday-Friday in July and August. Self-guided audio tours may be borrowed from the Visitor Center Monday-Friday year-round. The modernist Center for the Performing Arts (best known as the Egg) is located at the plaza. So is the New York State Museum, which contains exhibits on state history and geology. The state Capitol stands to one side of the plaza. While visiting the New York State Assembly, take a look at the Million-Dollar Staircase, which took 14 years to build at the end of the 19th century and showcases carvings of famous U.S. citizens such as George Washington, Abraham Lincoln and Susan B. Anthony. The Albany Institute of History and Art, established in 1791, is also downtown. This is the state's oldest museum, with a fine collection relating to the history and culture of the Upper Hudson River Valley. Capital Repertory Theatre on Pearl Street stages top-quality productions. Washington Park, designed by John Bogart and John Culyer based on the initial vision of famed landscape architects Frederick Law Olmstead and Calvert Vaux, has curving roadways, wooded glades and beautiful landscaping. If you visit Albany during the December holiday season, be sure to see the park's light display. If time permits, consider visiting the Schuyler Mansion (a lovely 18th-century home), Cherry Hill Mansion (built in 1787 on the crest of a wooded hill overlooking the Hudson River), the 1848 Shaker Meeting House (site of the first Shaker settlement in the U.S.) and the state's Executive Mansion (free group tours on Thursday September-June by reservation only). The Tulip Festival, a colorful springtime celebration featuring more than 140 varieties of tulips in bloom, is held every May in Albany.